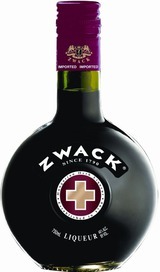 Zwack is made from a secret blend of over 40 different herbs and spices. Some of the herbs and spices are distilled, some are macerated, then blended together and aged in oak casks at the factory in Budapest for over 6 months, giving Zwack Liqueur a dark, amber color. Best served ice-cold, straight up, as a shot.